Stand out at your prom and wear a line style 19210 for your social occasion. Starting off we have a plunging v neckline with beaded straps that lead to a low cut back. 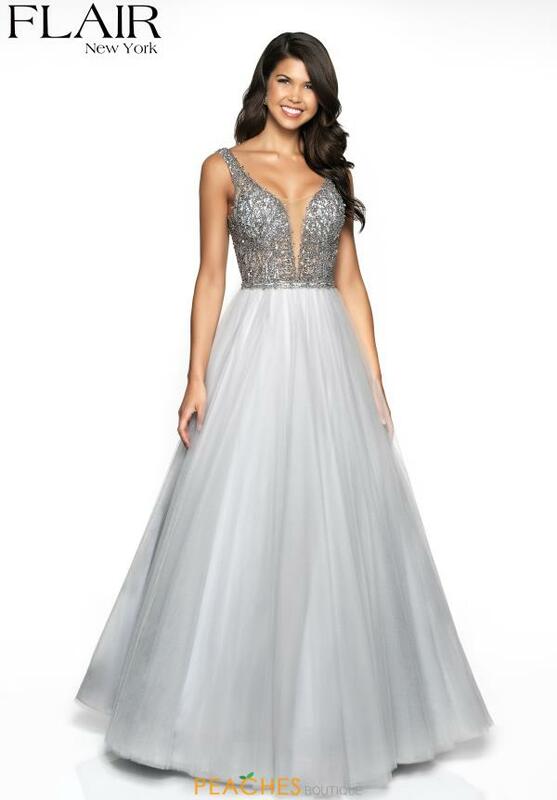 The bodice is fitted and fully adorned with ravishing bead work. The full a line skirt is made from a voluminous tulle fabric. This style is very figure flattering and will make you feel like royalty.